Heritage Knoll Apartments are Pet-Friendly! Finding pet friendly apartments in Kettering can be tough. Here at Heritage Knoll Apartments we certainly understand how important it is to have our companions by our sides. That's why we are a pet friendly community. We love your pets almost as much as you do. Not only will your pet find a cozy place to call home, they'll also be able to take advantage of many of the great amenities within and around our community. 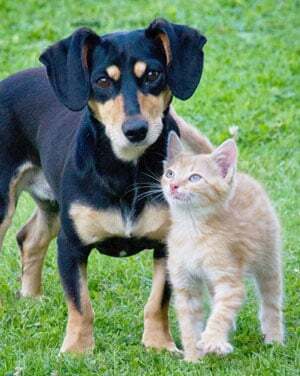 Bigger Road Veterinary Clinic is within walking distance from us if you need to give your pet a quick checkup, and we also have PetSmart Centerville close to us. Call us today for more information on our pet policies and restrictions.